How about a V8 powered E14? Its true, they were assembled in SouthAfrica in the early 90s with 360 hp V8 ADE 422(Atlantis Diesel Engines) motors as standard, a licence built Mercedes Benz 422. Part of a sanctions busting scheme to use local content. They sounded absolutely fantastic! Many are actually still working in S.A. 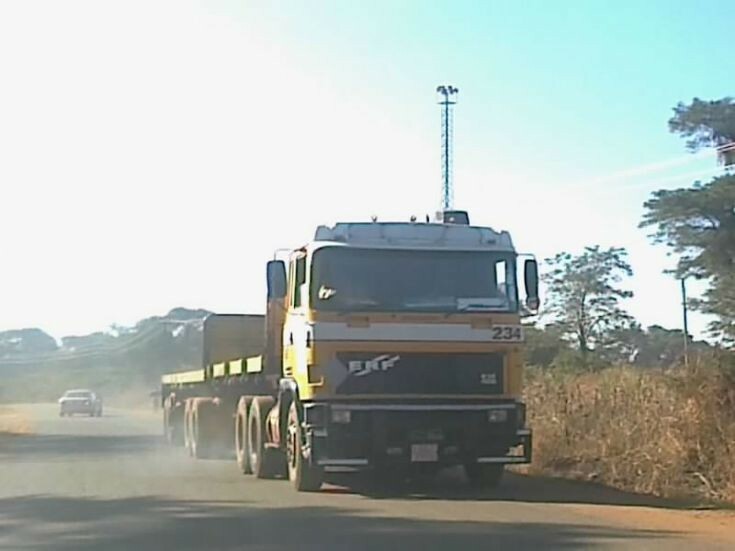 This truck shown though is a Zimbabwean assembled one with Cummins 855 . Added by Realist 71 on 10 November 2015.